Key Largo Vacations offer visitors fantastic experiences. You’ll enjoy your stay in the island paradise of Key Largo, the first of the fabulous Florida Keys and the self-proclaimed Dive Capital of the World. Key Largo is home to the world’s largest artificial reef, the 510-foot USS Spiegel Grove, the John Pennekamp Coral Reef Underwater State Park and the African Queen. Everglades National Park is just a short trip away. 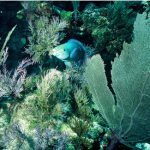 Diving, snorkeling and glass-bottom boating in the clear waters of the Florida Keys National Marine Sanctuary are fantastic experiences. Watersport activities are plentiful to include fishing, kayaking and swimming with the dolphins. Or, just relax with a tropical beverage and watch the beautiful sunsets. View the beautiful beaches of Key Largo and the Florida Keys here. Over the course of a year, the temperature typically varies from 64°F to 89°F and is rarely below 55°F or above 91°F. The warm season lasts from May 31 to October 2 with an average daily high temperature above 86°F. The hottest day of the year is August 7, with an average high of 89°F and low of 77°F. The cold season lasts from December 9 to March 7 with an average daily high temperature below 78°F. The coldest day of the year is January 18, with an average low of 59°F and high of 75°F. There are two airports near Key Largo, Miami International Airport which is about 44 miles from Key Largo, and the Florida Keys Marathon Airport at about 53 miles from Key Largo. To create a fair watch, go to AirFareWatchDog which will alert you when the flights are going down in price. Also check my airfare tips on how to make sure you are getting the lowest fare. For finding the lowest fare, go to CheapFlights. I find them to be the best for flight comparison, and getting the best deal if you are ready to purchase. Once you have your airfare, make sure you reserve your airport parking ahead of time. You can Save On Airport Parking and not have the last minute hassle (been there) of trying to get parking reserved. You need an excellent ride to take you around Key Largo no matter if you’re traveling for a company trip or a vacation. See the top attractions around town and park in front of the hottest new restaurant in Key Largo in your rental car. – Looking for a convertible to get that Key Largo breeze through the rooftop? – Want to parallel park into small slots downtown in a compact car? CarRentals.com is more than ready to make your vacation smooth and affordable with our wide selection of options. Get to know what this city is all about when you book the ideal car for your vacation’s needs. You deserve it. Visit CarRentals.com and reserve your car now. Flush with palm-fringed shores, white sand beaches and vibrant coral reefs, the Florida Keys serve up a taste of the tropics in American style. Closer to Cuba than Miami and blessed with a breezy Caribbean climate, this trickle of islands running south from the Everglades are a favorite hot spot for holiday-makers of every stripe. Sun worshippers soak up rays from the comfort of banana lounges, snorkelers drift over coral gardens in the company of turtles, and lovers of the nightlife can get their boogie (or drink) on in one of the many haunts favored by Hemingway. Explore sunken shipwrecks, spot the endemic Key Deer, learn about the region’s unusual history and feel mighty smug island-hopping by yacht while the everyday tourists deal with the highway commute above. This is a 5 day, 4 night sailing expedition. To find out more information on this 5 star rated expedition go here. The first undersea park in the United States, John Pennekamp Coral Reef State Park encompasses approximately 70 nautical square miles. While the mangrove swamps and tropical hammocks in the park’s upland areas offer visitors a unique experience, it is the coral reefs and their associated marine life that bring most visitors to the park. Many enjoy the view of the reef from a glass-bottom boat tour, but visitors can get a closer look by scuba diving or snorkeling. Canoeing and kayaking through the park’s waters are popular activities; fishing is permitted in designated areas. Visitors can enjoy walking on short trails, picnicking, or swimming at the beach. The Visitor Center has a 30,000-gallon saltwater aquarium and nature videos are shown in its theater. Full-facility and Youth/Group campsites are available. Beach wheelchairs are available without cost. For information call 305-451-1202 or visit John Pennekamp Coral Reef State Park. At Theater of the Sea watch up close and personal dolphin shows, sea lion shows, parrot shows, and much more! Theater of the Sea, a pioneer in animal interactive programs you can… swim with a dolphin… swim with a sea lion… Wade, Meet and Paint with a Dolphin… Meet and Paint with a Sea Lion… Swim with the Rays… Swim with the Sharks… and Meet the Sea Turtles! 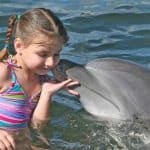 Their 30 minute dolphin swims include both trained behaviors like dorsal tows, kisses, and hugs as well as swimming and snorkeling with dolphins. They offer a variety of animal interaction programs for various ages and prices. Programs are available daily and include admission to their dolphin, sea lion, and parrot shows, guided marine life tour, lagoon-side beach, and bottomless boat ride. Theater of the Sea is family owned and operated since 1946 and one of the oldest marine mammal facilities in the world. The lagoons and lush, tropical gardens are home to Atlantic bottlenose dolphins, California sea lions, sea turtles, tropical and game fish, sharks, stingrays, alligators, marine invertebrates, and birds. Our mission is to provide a wonderful home for our animals while sharing them with visitors in ways that inspire awareness and sensitivity towards animals, the environment, and conservation issues. For information call 305-664-2431 or go to Theatre of the Sea. “Where Your Family Meets Their Family!” Spend the day with Dolphin Research Center’s family of dolphins and sea lions on Grassy Key in the fabulous Florida Keys. Experience teaching, learning and caring for marine mammals and the environment as you watch exciting, fun narrated behavior sessions and other educational presentations every half an hour. Want to meet a dolphin up close? They offer a variety of interactive programs including the Dolphin Encounter swim and Family Dolphin Splash. 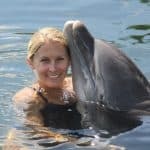 Ultimate Trainer for a Day,VIP Experience, Researcher Experience, Play with a Dolphin, Paint with a Dolphin, Dolphin Explorer, and Meet a Dolphin also offered daily. For information call 305-289-1121 or go to Dolphin Research Center. Learn to stand up paddleboard! Join them in exploring the mangroves on a SUP or kayak with our award-winning Eco Tours. 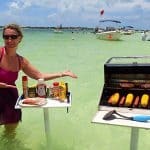 Best rates and guides in Key Largo, Islamorada, and Tavernier. Choose kayaks or paddleboards for your guided 2-hour tour of this unique ecosystem. Want to rent? You can paddle out their back door or they can deliver the fun to you! 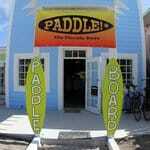 For information call 305-434-5930 or visit Paddle! The Florida Keys. Open Monday through Saturday from 10:00-8:00pm The Backyard Cafe features fresh from the Florida Keys seafood. They also have a variety of Beers and Wines to choose from. Visit and check out the menu and see what they have to offer at their dockside dining. For more information call 1-800-432-4058 or visit Key Largo Fisheries Backyard Cafe. The Fish House specializes in fresh local seafood including yellowtail snapper, mahi-mahi, grouper, Florida lobster, and stone crab. Try their smoked fish – smoked right on the premises. Relax… Lay Back… Dig into their scrumptious conch-style cooking. They know how to serve seafood right! Fresh fish is The Fish House’s trademark, brought to the back door daily by fishermen, then filleted and prepared on premise… the finest in “Conch-style” cooking. All of their dishes are served in a fun, friendly, and casual “Keys style” atmosphere. For information call 305-451-4665 or visit The Fish House. The Mrs. Mac’s II location specializes in large menu choices for all, vegetarians, vegans and gluten free included. Serving fresh, high quality, homemade comfort food including local sustainable seafood & Certified Angus Beef steaks. Where service and cleanliness is as important as the food. Delicious homemade Key Lime Pie. 25 wines by the glass and refreshing cocktails from their full bar. For information call 305-451-3722 or visit Mrs. Mac’s Kitchen. Welcome to your ultimate waterfront paradise! Skipper’s Dockside, Key Largo’s oceanfront oasis at Mile Marker 100, offers guests a comfortable portal to a time when life was simpler. Visitors enjoy a peek into the past as they make their turn onto Caribbean Drive; the exterior features an old-fashioned Ice House followed by a 1940’s original filling station to assist in one’s time travel journey. For information call 305-453-9594 or visit Skipper’s Dockside. 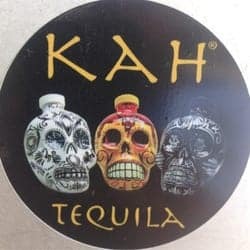 Key Largo Conch House is a family owned, and operated restaurant. An environmentally friendly restaurant that serves sustainable seafood. they were featured on Emeril’s Florida March 2015, Travel Channel’s Man v Food 2012, Discovery Channel 2013, and The Food Network 2007. Ted, Laura, Jon, Justin and Stephanie welcome you! Mom’s Key Lime Coconut cake was featured on Emeril’s Florida, March 2015. It’s not on the menu but they do have it frequently, just ask! They make the best seafood Paella on certain nights which is not to be missed, along with their Conch Fritters, which were featured on Travel Channel’s Man v Food, July 2012 Conch Fritter Eating Contest. For information call 305-453-4844 or visit them on the web at Key Largo Conch House. One of Key Largo’s most popular restaurants, Hobo’s Cafe serves robustly flavored, seasonal American cuisine in a casual, upbeat setting. Established in 1991, Hobo’s Cafe takes inspiration from the abundance of local seafood offered by the surrounding waters of the Florida Keys. Their food is sourced from top quality seasonal ingredients, derived from local fishermen and markets. As National Geographic stated, they’re an authentic Keys eatery. Their menu is creative, yet simple. Hobo’s Cafe remains a destination for thoughtful, warm hospitality and genuinely good food. For more information call 305-451-5888 or visit Hobo’s Cafe. A little off the beaten path tucked in just past Marina Del Mar next to Ocean Divers MM100. You will find them canal side on Key Largo Harbor. A little “hard to find but tough to beat” you ‘ll find something for everyone with casual family style dining in a local friendly flip flop atmosphere at affordable prices. Sharkey’s Pub is on the first floor inside or seating for cocktails and lunch & dinner on the waterside deck and patio . Watch your favorite team on 1 of their 18 TVs or listen to live music nightly. Hang with the locals inside A/C with pool, darts, or listen to the juke box. They are the craft beer headquarters with 28 beers on tap featuring Florida beers from Funky Buddha, Due South, Cigar City Brewery & many more . Tropical drinks, Frozen Specialties, & Jumbo Size Rum Buckets !! For information call 305-453-1905 or visit them on the web at Sharkey’s Pub & Grill. Enjoy open-air Florida Keys dining at Breezer’s Bar and Grille, one of the most refreshing restaurants in Key Largo. Breezer’s is located just over the suspension bridge from Gus’ Grille, with breathtaking views over the beach and Florida Bay. Along with fresh salads, juicy burgers and The Key’s best frozen drinks, Breezer’s also offers an incredible setting to catch the sunset. Be sure to stop by for their daily Happy Hour specials, featuring a tempting menu of light fare and island music from 4pm to 7pm. During season, Breezer’s also features live entertainment Wednesday through Saturday. Experience The Keys as only the locals do at Breezer’s Bar and Grille! For more information call 305-453-0000 or visit them on the web at Breezer’s Tiki Bar. Buzzard’s Roost Restaurant offers waterside dining indoors and out. Relax inside in air-conditioned comfort, out on the patio or at the tiki bar. 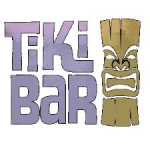 Enjoy live music at the tiki bar on Friday nights. Buzz on in to MM 106. 5, Oceanside Key Largo. To come by boat, they are at Hawk Channel… Lat 25’10.232 Long 80’22.291. Enjoy great happy hour specials on drinks and appetizers at The Buzzard’s Roost Key Largo! Soar on in for happy hour at the inside bar Monday through Friday 4:00 pm to 6:00 pm or at the tiki bar on Friday nights from 4:00 pm to 7:00 pm. For information call 305-453-3746 or visit them on the web at Buzzard’s Roost Grill & Pub. Visit by car, boat, or bike and enjoy stiff drinks, live music, and beautiful sunsets. Breathtaking sunsets, rich history, live music, and even livelier folks are quick to fill out this one-of-a-kind Key Largo landmark. 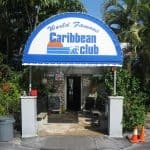 Opened in 1938 and run by the Whitehurst family since 1963, the Caribbean Club is the oldest bar in the Upper Keys and one of the last relics of Old Key Largo. It boasts live music Thursday through Sunday nights, daily happy hours, waterfront sunset views, and a dog-friendly atmosphere. Locals and tourists mingle in this watering hole filled with memorabilia from the Humphrey Bogart and Lauren Bacall classic Key Largo. For information call 305-451-4466 or visit them on the web at Caribbean Club. Located between Senor Frijoles & Sundowners, Cactus Jacks (CJ’s) is your late-night watering hole. Pool table, juke box, darts, TVs, and Golden Tee Golf. Late night food menu served until 2 a.m.— wings, sliders, burgers, chicken sandwiches, chipotle shrimp, and bacon wrapped jalapeños. Happy Hour from 4-6 weekdays. For more information call 305-453-0249 or visit Cactus Jack’s Pub. Playa Largo Resort & Spa, Autograph Collection is set on 14.5 private bayfront acres in Key Largo, Florida. The resort features a year-round outdoor pool, private cabanas, a hot tub, fire pits, and water sport facilities. The resort’s Flagler’s Restaurant has a variety of fresh dishes and specializes in serving signature steaks. The waterfront restaurant, Sol by the Sea, offers fresh seafood and a rum bar. The full-service Ocean Spa has skin and nail treatments, a salon, and fitness counseling and classes. Guests can even schedule an en suite massage. Views of the Florida Bay, a private marina, and a boat launch ramp are featured at the Playa Largo Resort. Paddle boards, kayaks, snorkeling, diving, boating, and ocean excursions are available on site. For more information, pricing, or to reserve your room, visit Playa Largo Resort & Spa, Autograph Collection. 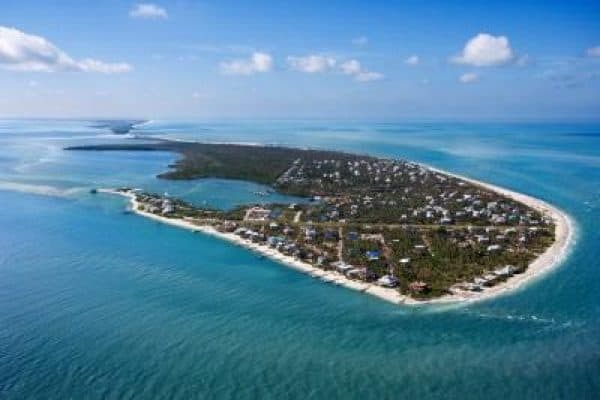 In Tavernier, this beachfront Florida resort is 2 miles from Florida Keys Wild Bird Center. Guests can enjoy snorkeling near the hotel’s private beach, an outdoor pool, and free property-wide Wi-Fi. Atlantic Bay Resort provides guests with barbecue and fishing facilities. A boat launch and free on-site parking are available for added convenience. For more information, pricing, or to reserve your room, visit Atlantic Bay Resort. Located along Blackwater Sound, this adult-only boutique hotel features a small, private beach nestled in a tropical garden. A microwave, refrigerator and coffee-making facilities come standard in each room at Azul del Mar. A seating area with a satellite TV is also included. A small dishwasher is provided. For more information, pricing, or to reserve your room, visit Azul del Mar. This hotel is off Highway 1 and 3 miles from downtown Key Largo. The hotel offers an outdoor pool, private beach, boat dock and rooms with a flat-screen TV. Key Largo Hampton Inn provides guests with a daily breakfast. The hotel also features a gym and business center. For more information, pricing, or to reserve your room, visit Hampton Inn Key Largo. Situated on 17 acres of waterfront, Key Largo Bay Marriott Beach Resort offers sport fishing, coral reef diving, and other water sport activities. It boasts a full-service day spa and an outdoor pool featuring views of the water. A fitness center is available and snorkeling, table tennis, and volleyball are located on-site or nearby. Bicycle rentals are offered, and guests can relax beach side with towels and beach chairs or watch wild iguanas roam the shore. Stop by Flipper’s Pool for lunch, dinner, or poolside drinks. Gus’ Grille offers locally-sourced seafood from beneath a covered patio while Breezer’s Tiki Bar serves lite fares and drinks. For more information, pricing, or to reserve your room, visit Key Largo Bay Marriott Beach Resort. I’m so glad I found this website! You clearly understand you target audience because you have great information; the kind that visitors would typically ask for. Showing the weather in graphical format is an awesome idea because one can quickly make informed decisions about the best time to go! I’ve only been to the Keys once and, unfortunately, it was the wrong time of the year – way to windy! You are welcome Stephen. Yes, I like the weather graph myself. Easy to see when is best. Not everyone likes it hot, and not everyone likes it cool. Anytime is great to me, but the wind can make it a bit chilly, I agree! Thanks for visiting Key Largo Vacations! This is a fantastic site! Hoping to go to Florida in March 2017 and I will be using your site to plan, thanks! Thank you so much Jill. Please let me know if you need any help with your planning. Wow, how cool! I love the Florida Keys. Interesting you are now in Israel 🙂 Yes, the bridge is beautiful. I love that drive! Thank you for visiting! What a great site. I am a travel agent and your spot on with your information. I also have a travel blog and I like yours better. Your beaches information will definately make people like me in Wisconsin want to travel now…. 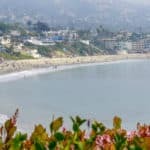 Keep providing this information because we all love to read about warm beaches. Oh I plan on it Mark 🙂 Thank you for your comments and I look forward to maybe swapping some information and articles ! Hello here, my head spins from the amount of information provided here, at your website. I guess that you are native of Florida, are you? 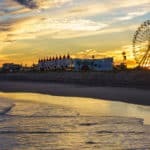 I visited Pensacola Beach once and promised myself that I absolutely will be back. This velvet sand and warm clear water make everybody happy and relaxed. You listed so many activities here. For me, at this time it would be enough just to lay on the beach and enjoy the warm sun. I think that this time of year is best for visiting Florida because it is not so hot as in the summer. Thank you for the comprehensive article. I look forward visiting this sunny state. All the best, Nemira. You are very welcome Nemira 🙂 I do not live in Florida….yet but I go there quite often. And I agree, just to lay on a nice, beautiful Florida beach is enough 🙂 Thank you for visiting Key Kargo Vacations! I’m looking for a new exotic destination to travel to and do some scuba diving and this might be going on my list. From your temperature graph it looks like the warmest time is May to October. What would you say is the best time of year to dive over there? Thanks for sharing this,its definitely a location I’m going to investigate more. I live in Florida so I know a lot of what you’re talking about. From the weather to hotel choices. All add to the endless beach paradise key largo has to offer. The Fish house is a cool place, Your right on point with Relax… Lay Back. I have been to the keys several times. Key Largo is a great place to spend some time when you are this far south. I like to stay in Marathon as it is out on the keys and is reasonable in price. I have found some of the out of the way restaurants have the best food for a great price. Had a grilled Grouper that was the best Grouper that I have ever tasted. Your list of local restaurants will give you some fine dining. There is so much to do, you could spend a month and not see everything just in Key Largo. Hi John, and you are right. So many local restaurants, so much local flavor. 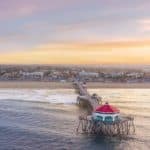 I tried to pick the favorite local and visitor spots. I hope you can visit again and thank you for reading! Oh I really wish I had this much information when myself and family visited Florida Keys Four years ago, would have made everything so much easier! We Stayed in Key West – Casa Marina and thought nothing could top that but Oh the choices that you have laid before me have made want to visit your selections, always said I want to go back 🙂 I live in the UK and had to rely on a local travel agency to sort out all our details etc… they were good but…. You will most definitely be the website that I will be using to make further bookings! We loved the Everglades etc.. but again we had to source all the information ourselves, very time consuming when you only have a few days in each location! I find your site easy to use, directional and with incredible choice. Thank you June 🙂 I try to be thorough and provide everything you would need with the best choices possible. I hope you can visit again soon. Thanks you for visiting Key Largo Vacations! Nice introduction about this beach. I would love to visit this beach. The weather chart really helped me decide when it’s the best time to visit there! As you know beaches are always famous for seafood. However, I am a vegetarian. Do you know if there’s any place near the beach that I could have vegetarian food? Yes, there are vegan restaurants and restaurants with vegan menus. Here are a couple: Ballyhoo’s, Eco Eats, Ms. Macs Kitchen, Sundowners on the Bay, and The Mindful Mermaid CafÃ©. All have vegan dishes, or totally vegan. Thanks for visiting Ian! Awesome review. I always wanted to check out the Florida Keys…Key Largo seems like an excellent place to vacation. Have you ever used FlipKey? I have never heard of it before…I do use TripAdvisor all the time when I plan my vacations. Just a quick comment from a marketign perspective – I feel that you have too many tags. I feel its best to keep your tags to a minimum – 3-4 max. Thanks for opening my eyes to this destination. Thanks for the info on the tags John. Yes, I have heard of Flip Key. I use them as well, and Trip Advisor when I am reserving my room. I like vacation rentals much more than hotel rooms. 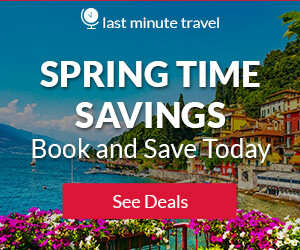 Wow your site definitely makes me want to go travel now. Very clean look to the site, really good content and makes you want to read on and on. I personally like travel and have been at a few places across the world, so I have been on enough travel sites to date but yours is really attractive and I would visit it again. Thank you so much Mornay! I try to entice my visitors to love what they see enough to explore all the beauty there is around the world. Thank you for visiting Key Largo vacations. What are the costs of this vocation on average? To be sincere it’s the first time that I hear about this place and I find it interesting. I love beaches and especially if they are in new foreign places. Thanks for this review. I especially like the part when you present what to do there. I absolutely love going to new places and trying new things. Hi and thank you for visiting. It would be really hard to give an average cost because so much can factor into that, i.e. hotel amenities, time of year, activities, etc. I can say that staying in Key Largo is going to be a lot less then driving all the way down the keys and staying in Key West. Thank you for visiting! Wow! Really great info here! My girlfriend and I are planning a trip to Florida in February this is definitely gonna help. Thanks! Looking forward to reading more! Excelling info!